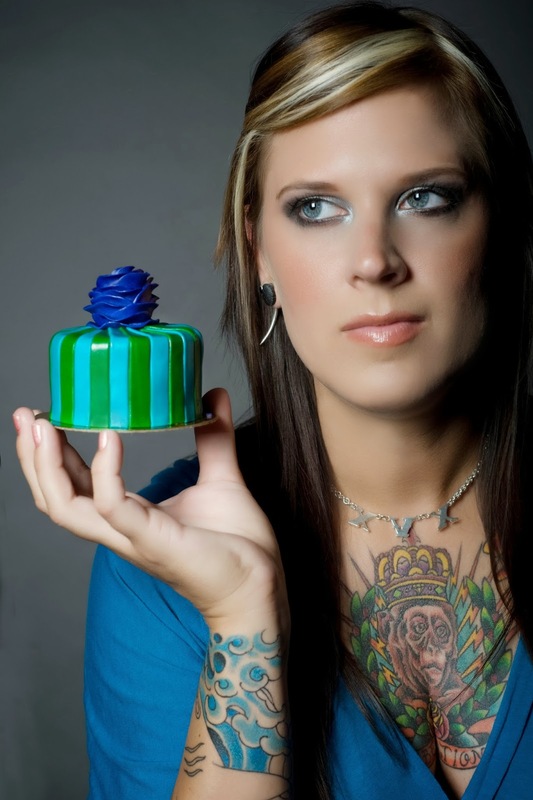 Danielle Konya is the founder and owner of Pennsylvania-based baked-goods empire, Vegan Treats. Founded in 1998 and located in Bethlehem (cue Billy Joel's Allentown), Vegan Treats is one of the top Vegan bakeries in the world. From cookies, cakes, cupcakes, doughnuts, rolls, CANNOLI, pies, cheesecake and recently, ice cream, Vegan Treats does it all. Danielle loves animals, (especially great apes like orangutans, gorillas and chimpanzees!) and has dedicated her life to help people switch to a Vegan lifestyle. There's no better way than to make amazing Vegan desserts! One of the first times I went to New York, I had a Vegan Treats Red Velvet Cake from Atlas Cafe and thought it was amazing! Ever since then, I've always been on the lookout for anything from Vegan Treats. 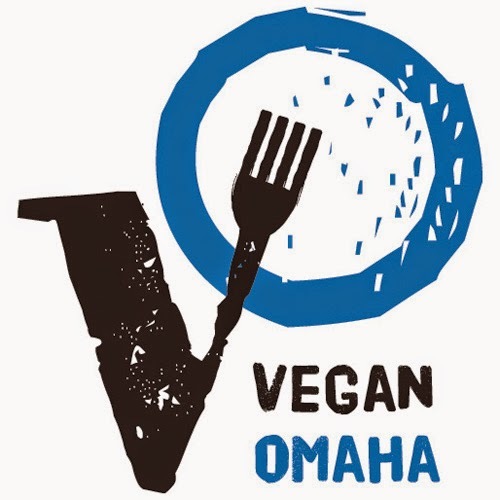 Unfortunately, Omaha is out reach for most things (except for the Vegan Cannoli that can be shipped right to your house for Thanksgiving!!!) so I have to live vicariously through the Vegan Treats Facebook page. Now, the question that everyone wants to know is, what kinda of pre-packaged cookie does Danielle like? 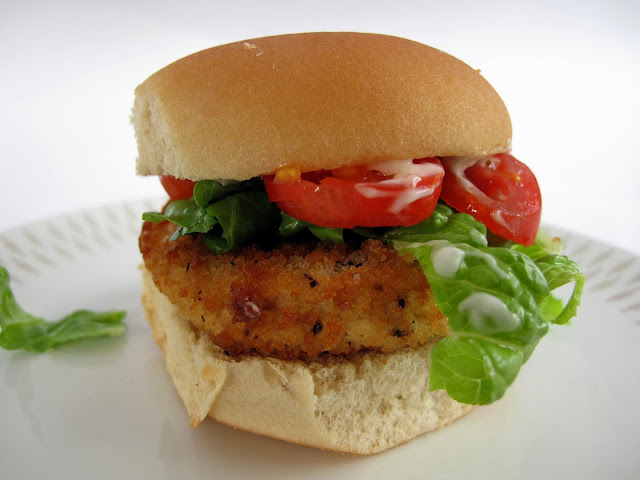 I REALLY like Gardein Sliders. I bring those to the bakery for a fast lunch on occasion! Now they came out with new “chicken” ones, mmmm…. SO GOOD! Tofutti Pizza Pizazz. I’ve been enjoying these on occasion for over a decade. So Delicious Turtle Trails! Caramel and chocolate, need I say more. Baked Ruffles, I’m addicted. What’s up with the new, small bags? I will eat one cereal for six months straight before moving on to a new cereal (for another six months). Right now, it’s 365 Frosted Wheat Squares. They’re delicious! In another month or so I’ll have to pick a new one, I guess. haha. Thumbs Up (vegan Butterfinger bar) by Go Max Go Foods. I love all of their candy bars. They’re also my favorite airplane and movie snack. Uncle Eddies. It’s a toss up between Peanut Butter Chocolate Chip and Oatmeal Chocolate Chip. It’s such a rare occasion that I find them, though. The scarcity makes them taste even better! Obsessive Confection Disorder Caramels! Wow, so good. If you haven’t tried them yet, you absolutely need to. I had those sea salt caramels in my pocket while trekking for orangutans in Indonesia, that’s how much I like them. Baked Ruffles, I wasn’t kidding when I said I was addicted. Australian vegan nougat made by the Australian Nougat Company. I think you can buy it on Vegan Essentials- you need some! The child in me really wants Lucky Charms! Those fruity freeze-dried marshmallows are a fond memory of my childhood and I crave them every time I’m looking for my new favorite cereal. 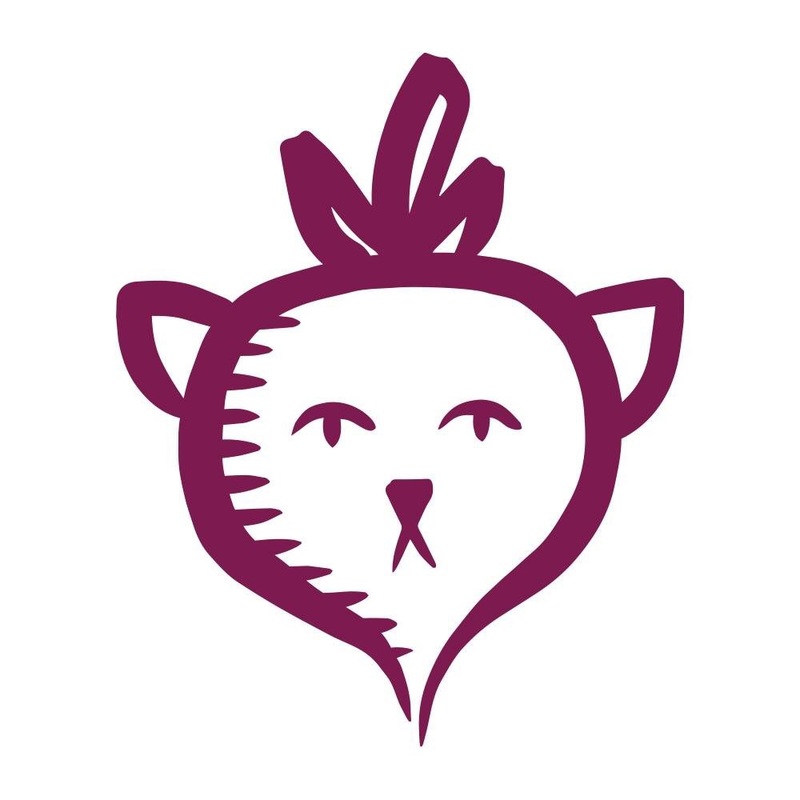 What are your favorite local and/or online stores for Vegan products? Pangea, Obsessive Confection Disorder and Vegan Essentials. And that concludes The Laziest Vegans Top Ten. Thanks Danielle! 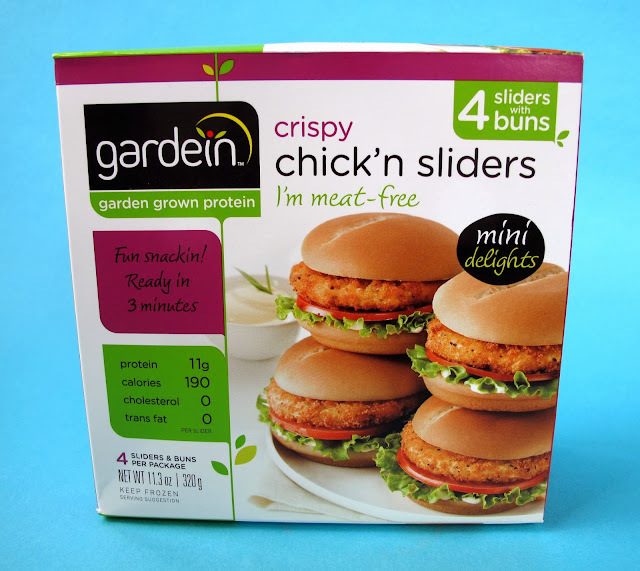 Lemme start this blog off by saying that I've been looking for these Gardein Crispy Chick'n Sliders ever since they came out...with no luck. For some reason, my Whole Foods doesn't carry them. But a couple months ago, Katie from Don't Eat Off The Sidewalk mentioned that her Target carries them. Target, I thought, that's kinda weird! But sure enough they had them. Actually, they had a ton of Gardein stuff, so give your local Target a try. Anyway, I couldn't wait to see if they lived up to my self-created hype. 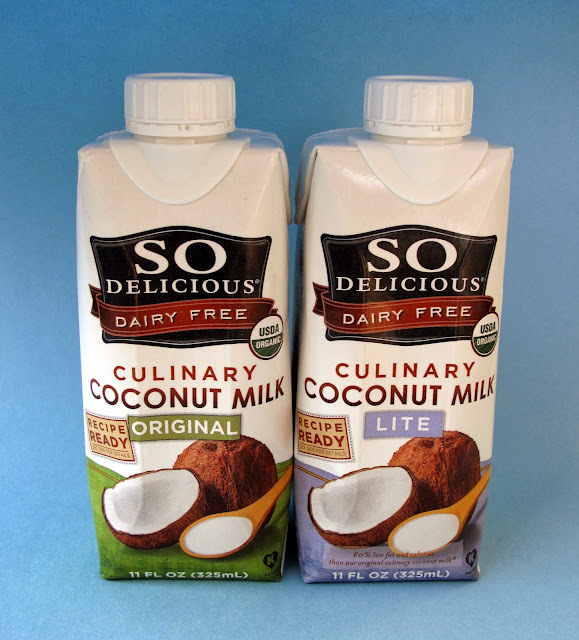 So Delicious has introduced two new Culinary Coconut Milks, Original and Light, for use in recipes. Both milks have only three ingredients: Water, Organic Coconut Cream and Organic Guar Gum. So Delicious has been kind enough to send me a couple to sample. Now, it's widely known that I love So Delicious products, but I had no idea how I was going to test and review this particular product. You know, it's for cooking and baking; two things I'm not exactly interested in. But I think I figured out an easy and enjoyable way of using the Culinary Coconut Milk. What you ask? Hot chocolate! Well, you can't have hot chocolate without marshmallows! 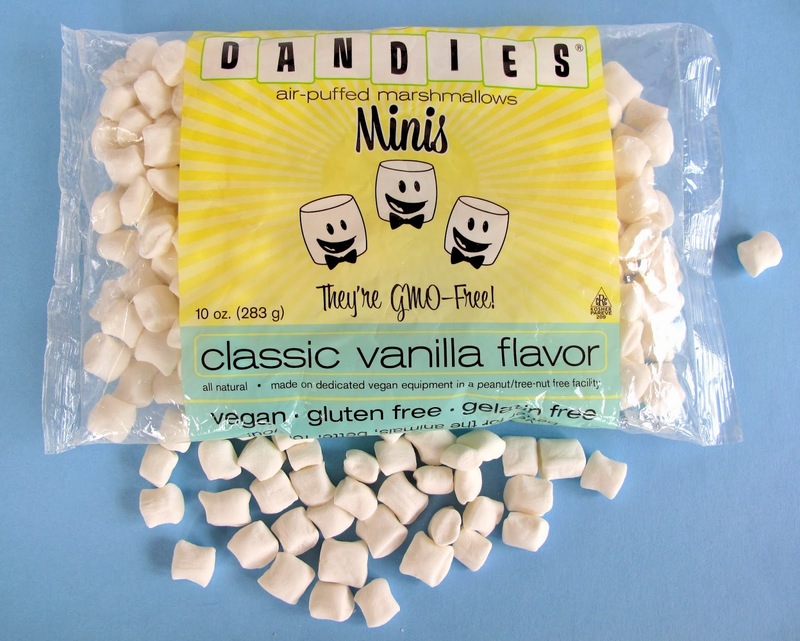 And it just so happens that I have a bag of the new Dandies Minis from Chicago Vegan Foods. They're tiny and perfect. I pulled off the hot chocolate and it was tasty! The Coconut Milk added the right amount of richness and creaminess to the cocoa. I used the Original version, but if you are worried about the fat content you could use the Lite instead. I could see the Culinary Coconut Milk being perfect for use in baking and cooking. If you want to try my version of Laziest Vegans Hot Cocoa, here you go! Boil 2 cups of water with 3 tablespoons of cocoa powder, 2 tablespoons of sugar and a pinch of salt. Whisk smooth and then add a half cup of the Culinary Coconut Milk. Boil and keep whisking till mixed. It makes two servings, so you may need to double if there's more than two of you. 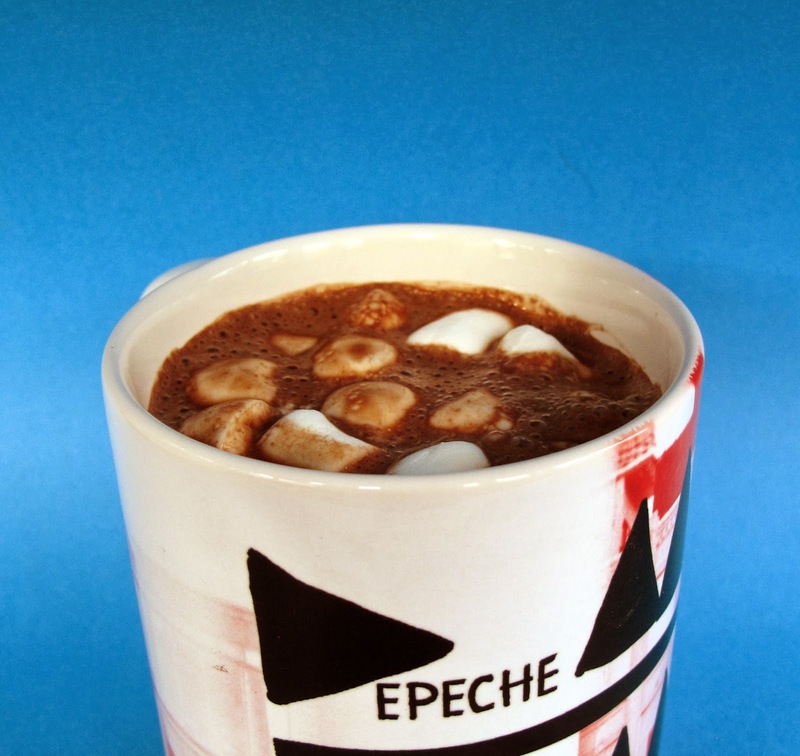 And don't forget to add mini marshmallows to your mugs. Enjoy!